Gorenje was for the second year in a row named the most trustworthy household appliance brand by Croatian readers of the Rader’s Digest magazine. Due to tradition and quality more than half of them (almost 53 percent) trust Gorenje, which is followed by Electrolux and Končar that got 8,3-percent share among the readers who participated in a survey. Reader’s Digest conducted the survey among the magazine readers in Croatia with the support of the agency Mediana Fides Zagreb that has many years of experience in public and media polls. Readers who participated in the survey filled in the questionnaire with names of those brands that deserve to be trusted and have the highest status. The brands were assessed also according to their quality, visual appearance, usefulness and price. 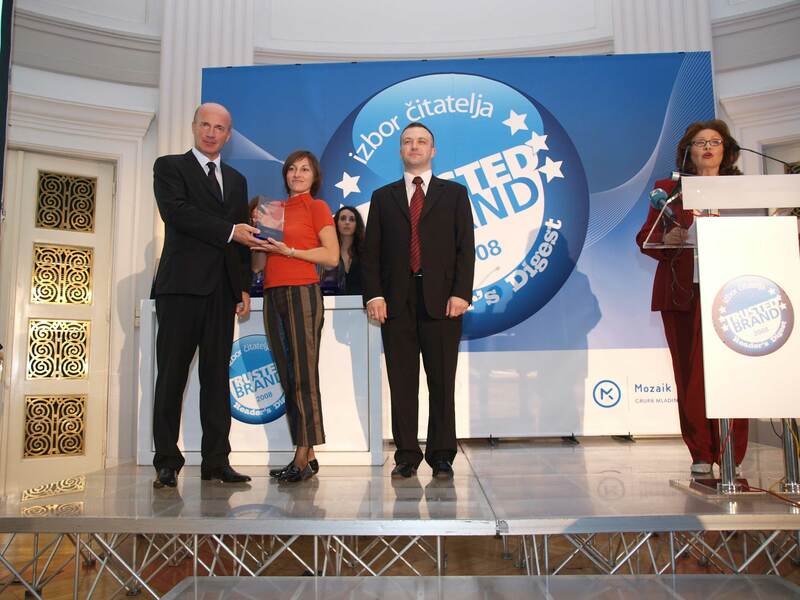 Trusted Brand 2008 award confirms that the Gorenje brand is well-known, reputed and enjoys much trust among Croatian consumers.